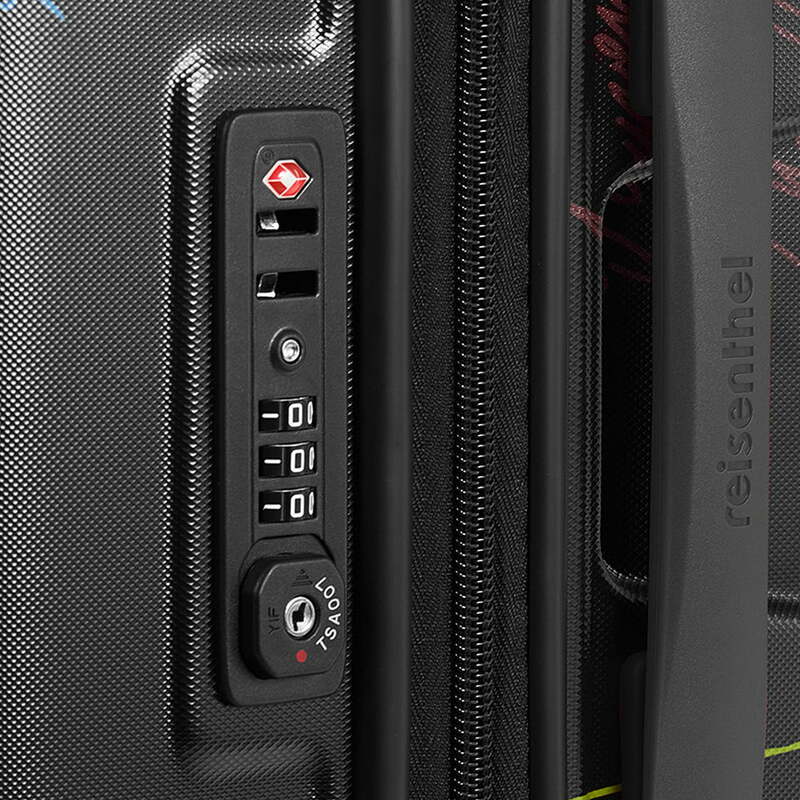 suitcase by reisenthel is a series of high-quality cases with large-scale prints in a special edition. 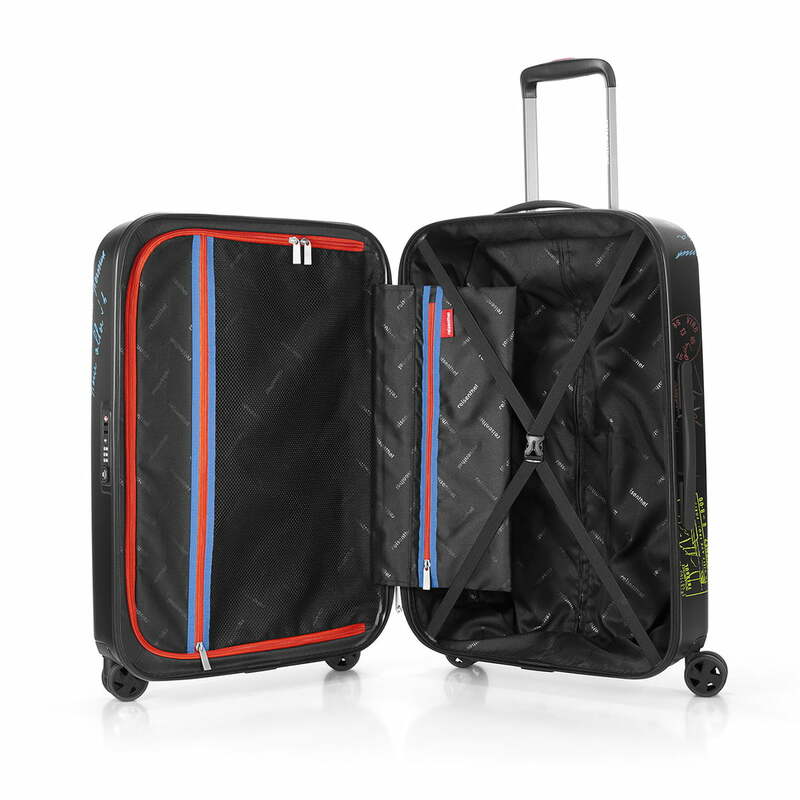 The suitcases in different sizes are both ideal for the weekend trip, as well as the long summer holiday. The decor Stamps in the special edition is ideal for frequent travellers and allows to be combined with other reisenthel products. The hard protective cases are made of polycarbonate, which is characterized by its high impact resistance and durability. Four 360-degree double rubber casters ensure a comfortable and above all quiet transport. The telescopic rod can be pulled out and disappears completely in the suitcase’s housing when not in use. The inner lining is equipped with a side zipper pocket. Moreover there is a cross strap and a room divider on the inside of the case with additional zipper compartment. This way, the clothes or other objects remain safely and orderly in place in the suitcase. A combination lock provides security, but it also allows to be easily opened and closed again during a check at the airport, for example. The suitcase S is perfect as hand luggage and allows to be carried in the cabin of the aircraft, according to IATA recommendation. The suitcases in M and L are next to the telescopic rod equipped with handles at the top and at the side for a more pleasant carrying comfort. 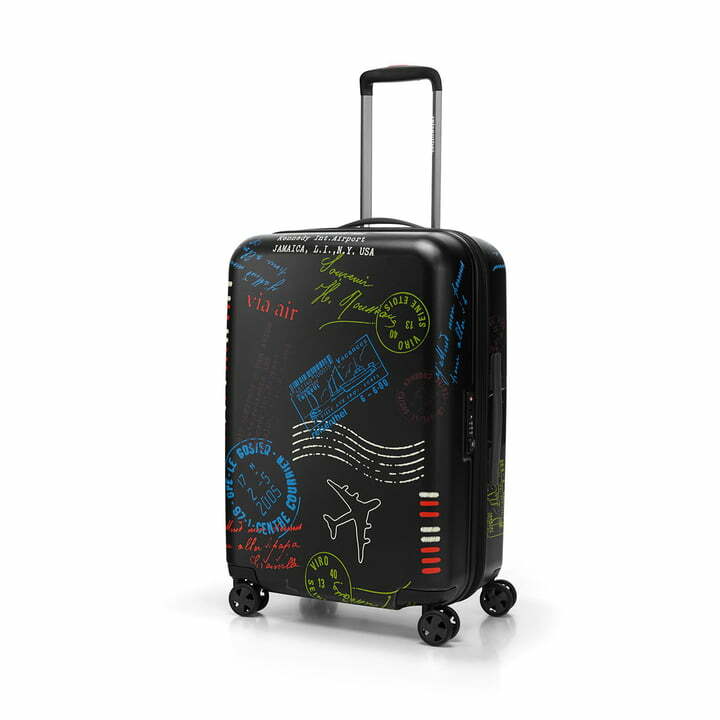 suitcase M stamps (special edition) by reisenthel. The case is equipped with carrying handles at the top and side for a better level of carrying comfort. suitcase stamps (special edition) by reisenthel. The inner lining is equipped with a side zipper pocket. Moreover there is a cross strap and a room divider on the inside of the case with additional zipper compartment. This way, the clothes or other objects remain safely and orderly in place in the suitcase. suitcase stamps (special edition) by reisenthel. 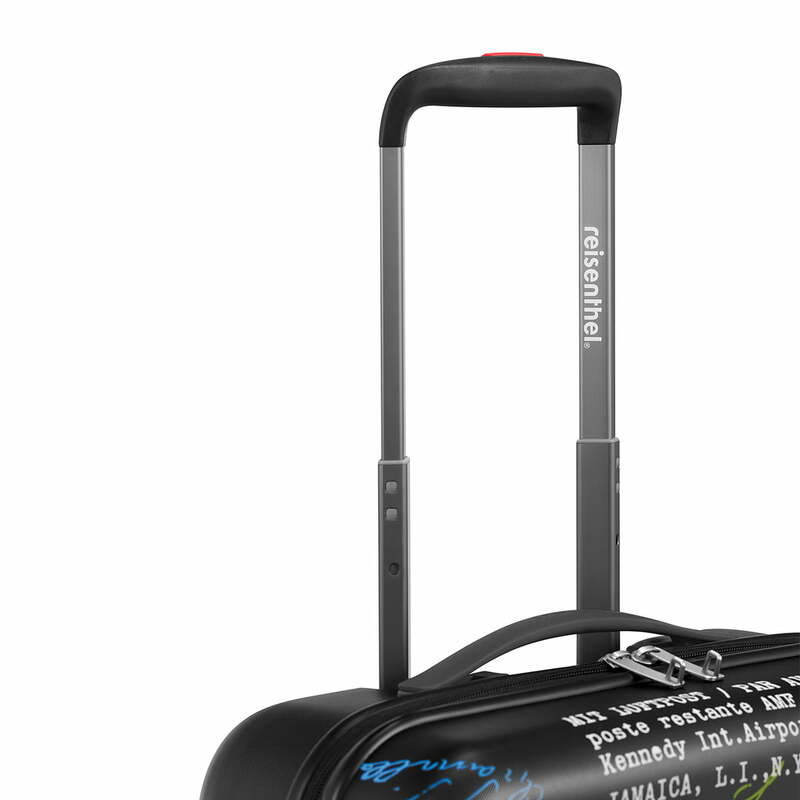 The telescopic rod can be pulled out and disappears completely in the suitcase’s housing when not in use. suitcase stamps (special edition) by reisenthel. A combination lock provides security, but it also allows to be easily opened and closed again during a check at the airport, for example.